An online marketplace that allows doctors to sign up for freelance clinical jobs more easily is about to open the “gig economy” to nurses as well. Nomad Health, a New York city company started in 2015, has developed a live platform now that connects MDs with healthcare centers in 14 states. 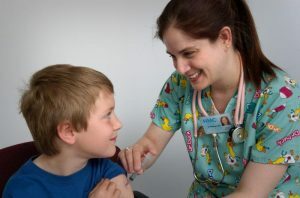 It’s currently in the process of launching a platform for temporary nursing services in Texas, the state with the largest Nursing Licensure Compact which allows all nurses who have an NLC license to practice in all of the 25 NLC states. To participate, nurses will be required to provide Nomad with a W-2 form. The company says, however, that this will not make them Nomad employees, but will simply give them the ability to access the network regularly and string together multiple assignments more easily. Nomad says that the $15 billion healthcare temporary staffing industry is rife with hidden costs and delays. By replacing employment brokers with an online platform the company is hoping to streamline applications, credentialing, payments and other functions for nurses. And by making it cheaper for healthcare centers to find temporary nurses, the company claims it will help boost nurses pay.